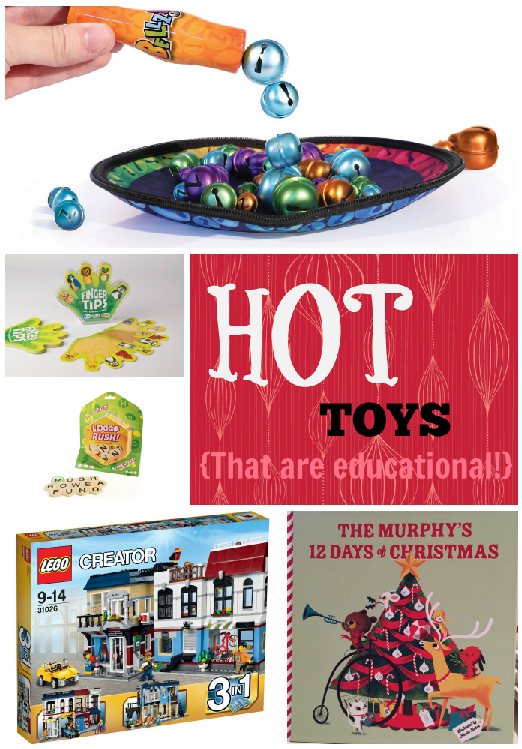 Wiggles 3D – Toy Insider’s Mom Adds Bellz To Their Hot Games List! We all love playing classic board games on family game night, but there is a whole world of new games out there to enjoy. 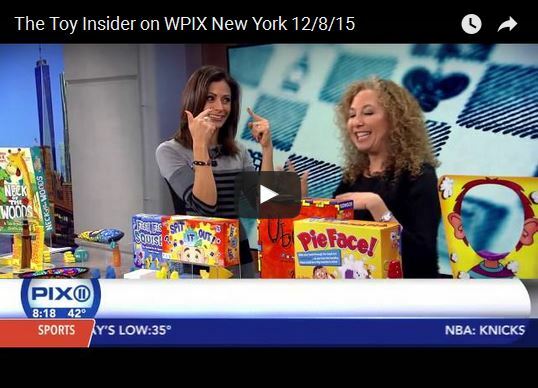 Toy Insider Mom Laurie Schacht brought some of the best games of the year to WPIX11 New York to give us all some inspiration. When it comes to games, there’s always room for more fun! A crazy race to save eggs from the frying pan and return them back to the safety of their nest. Two players wearing their chicken beaks and playing at the same time must use the chicken-shaped magnets to lift the eggs from the frying pan and carefully take them back to their nest. No hands allowed! The player with the most unbroken eggs will be the winner! 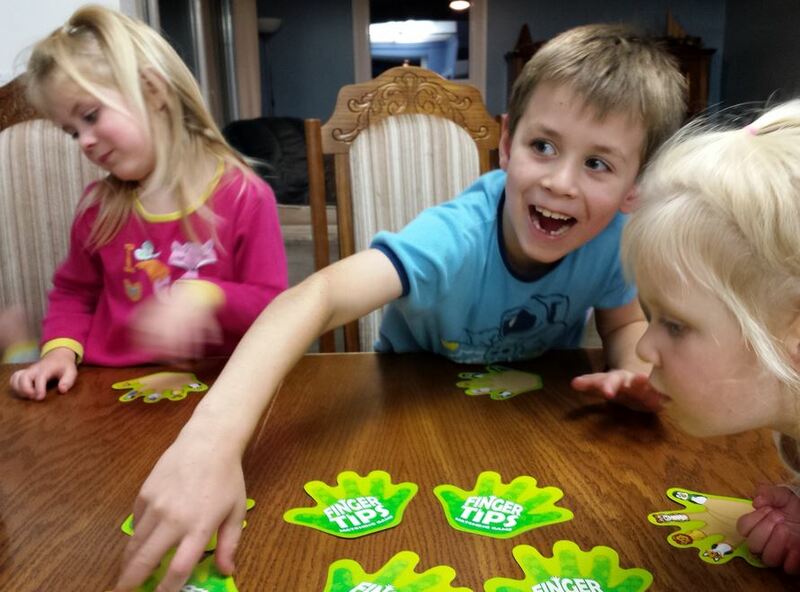 This game will create laughter and fun for kids and adults of all ages! The giraffes are hungry! – Can you help them reach the leaves in the tree? It takes a steady hand and a clever mind to stack the blocks, reach the reward, and earn the most points. On each turn, you must roll the die to determine which block you have to use. Keep on stacking turn after turn to stack your giraffe’s neck as high as you can. The higher the leaves are in the tree, the more points they’re worth. – Stack as high as possible to win the biggest reward! Once all the leaves have been grabbed, everyone flips them over at the same time to count up their points. The player with the most points wins the game! Designed with soft yet sturdy foam pieces and an engaging gameplay that emphasizes the balance between risk and reward, Neck of the Woods is one game that’s sure to be played again and again! 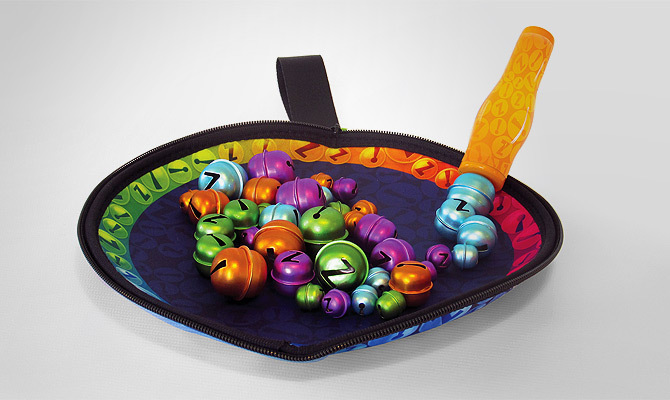 The neoprene pouch is both the travel kit and the game arena. Inside there are 40 custom bells in four different colors and three different sizes. Players use the magnet wand to pick up bells of only one color. 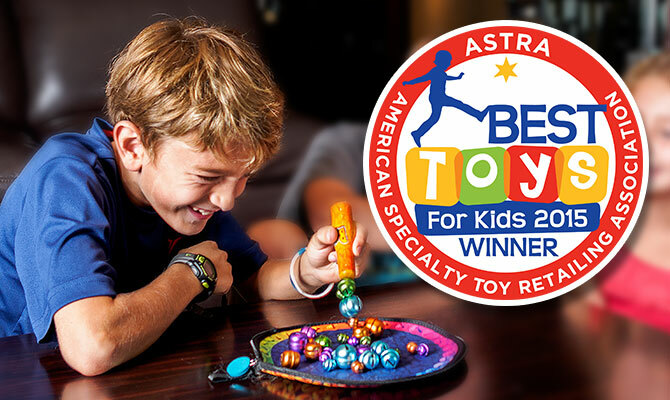 They can make a string off the end of the magnet wand, or create a cluster—just don’t pick up bells of any other color or the turn is over. The game involves a blend of strategy and dexterity while playing. The first player to collect all 10 bells of one color wins! The object of this game is to be the last player with an “unsquished” fish! Players start the game by molding their own little school of five, fun, dough fish. Cards are flipped, in turn, until a player completes a three-in-a-row. That player is awarded a free squish of any opponent’s fish! But, stay on your fins! Everyone else is trying to squish your fish too! Comes with a deck of 54 colorful fish playing cards, 4 resalable bags of safe modeling fun dough, 4 plastic fish molds, 4 player mats, and illustrated instructions. In this hilarious party game, give the wrong answers to easy questions is not as simple as it sounds. Sometimes you have to give the right answers too, and a roll of the dice determines which questions you have to answer correctly. Think you can retrain your brain to spit it out in 30 seconds? In this fast-paced, addictive, and easy-to-learn geometric puzzle game, players race against the timer and each other to solve a puzzle of interlocking shapes. The faster players solve the puzzle, the more gems they get! The player with the most valuable gem treasure after nine rounds of solving puzzles wins! Each player receives a set of 12 polyominos—geometric shapes formed of equal-size squares joined edge in different arrangements. At the start of each round, each player gets a new puzzle panel. A roll of the die determines which polyominos you must use to perfectly fill in the puzzle panel. Any players who complete the puzzle within the time limit yell out, “Ubongo!” and grab a gem at random from the bag. The fastest player also gets a blue gem and the second fastest an amber gem. Each gem color is worth a different amount of points. After nine rounds, the player with the most valuable gem collection wins. The free companion app helps players learn how to play the game, and includes a game timer, a solo game timer, and solution keys. Put some whipped cream from home or a wet sponge on the “hand” of this game and start turning the handles. You score a point for every time you turn the handle without getting pie-faced, and the ones who scores 25 points wins. Take some risks and hope for the best in this hilarious and unpredictable game!